Homes in Jupiter, FL are always in demand because the weather is great year round and there is plenty of waterfront property. The beach resort town has become a popular vacation destination and many snowbirds purchase homes to escape to during winter. Jupiter is a great place for people who like to golf, hit the beach or peer at the ocean and relax. 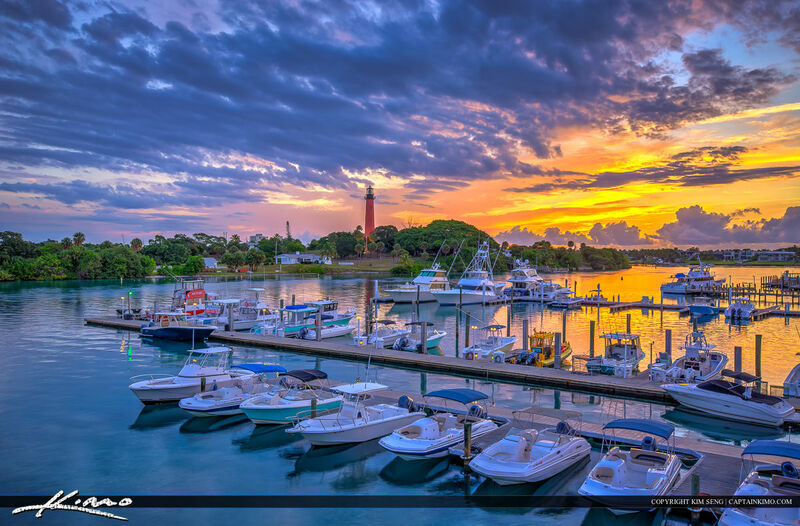 There are many fun activities and destinations in Jupiter, such as the Jupiter Inlet Lighthouse and Roger Dean Stadium, and plenty of places to eat overlooking the ICW (Intracoastal Waterway) or ocean. The multi-million dollar homes that line the ICW are fun to look at as well. Many parts of Jupiter allow you to walk or bike to the beach. In fact, there is a group called Jupiter Walk and Bike which is heading up a project to make the town more friendly to walkers and bikers. The riverwalk is a master planned recreational corridor that links up with Harbourside Place for shopping and dining, amphitheater and marinas. If you’re thinking about moving to Jupiter, or just want to visit, here’s a list of our favorite places to go and things to see. 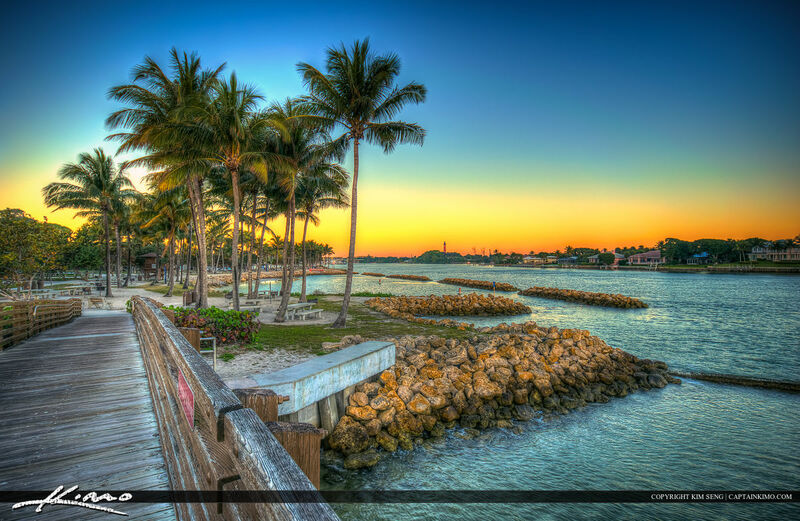 Jupiter is located in Palm Beach County, Florida, which is in southeastern Florida. It is located on the Atlantic Coast and has many inlets of water, offering residents and tourists some of the most beautiful beaches in the state of Florida. Description: Watch a production or audition for one! This is a great place to enjoy a well known musical, play, dueling pianos or even a tribute band. Description: Not only do they offer great food and an open air dining area, they offer an education in the ecosystem and a dive trip out to the reefs! Must Try: Organic Margarita or if you’re feeling adventurous, the Cat 5 (Category 5) Hurricane. Description: Guanabanas has a cool, laid back vibe with spectacular water views and plenty of good music. It’s a great place to bring friends for a night out! Description: The focus of the marine life center is on conservation, more specifically helping sea turtles. There are guided tours, hammock hikes and even sea turtle hatching releases in the springtime. Description: This is a hidden gem tucked away in a strip mall, but once inside you feel like you are on an island in the Caribbean. Cool art pieces, good fun crowds and great music make this a place the locals love to keep a secret. Description: Even if you are not a baseball fan, there is plenty of fun at the Stadium for adults and kids. You can even sign up to be a grounds crew intern for an up-close look maintaining the fields. Description: Du Bois part is a beautiful country park that has many activities like swimming, snorkeling and boat ramps that aren’t too crowded. The waters are also very calm, making it a great place for families! Description: A natural wildlife sanctuary that features a wildlife hospital and plenty of trails, exhibits and educational programs. There is so much unique wildlife that is being rehabilitated at Busch Wildlife Sanctuary, including alligators, bobcats, Florida black bears, opossums and even river otters. Description: Our family loves horseback riding, and our favorite place to go is Riverbend Park. There is seven miles of trails to ride, and it’s absolutely gorgeous! The asking price of homes for sale in Jupiter has increased 19.1% since March last year, while the number of homes for sale has decreased 3.7%. If you’re thinking about moving to Jupiter, you can go to the Jupiter page on Redfin and hit the “save search” button at the top left to get alerts about new homes coming on the market and how much they cost. If you live in Jupiter, you can also claim your home to stay up-to-date on what is happening with similar properties around you. When you’re ready to buy or sell, a Redfin agent can help you through the process. The Walk Score of Jupiter is 29, meaning the area is car dependent and most errands require driving. There are a few spots, such as Pine Gardens South, Pine Gardens North and Ironwood and Town Center, where you could walk or bike to run daily errands. Thinking about Moving to Jupiter? What’d we miss? If you have a place you’d recommend that people visit in Jupiter, let us know in the comments below!